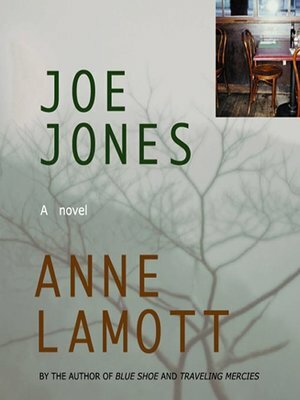 JOE JONES is Anne Lamott’s raucous novel of lives gathered around Jessie’s Café, "the sort of broken-down waterfront dive one might expect to find in Steinbeck." Jessie, "thin, stooped and gorgeous at seventy-nine," inherited the café years before and it has become home to a remarkable family of characters: Louise, the cook and vortex, Joe, devoted and unfaithful; Willie, Jessie’s gay grandson; Georgia, an empress dowager who never speaks; and a dozen others all living together in the sweet everyday. Anne Lamott is the best-selling author of OPERATING INSTRUCTIONS, BIRD BY BIRD, and BLUE SHOE. She lives in Northern California with her son, Sam. Original material © 1985 Anne Lamott.